Back when Shadow Brokers doxxed some NSA hackers, I argued some allusions Shadow Brokers made served as a kind of warning, in that case directed at people who hack for NSA. As I understand it, Shadow Brokers’ threats reflected access to specific and accurate information. Though I haven’t confirmed any of these details, yesterday’s Shadow Brokers post seems to do more of the same, although this time directed at NSA itself. In April, 90 days from theequationgroup show and tell, 30 days from Microsoft patch, theshadowbrokers dumps old Linux (auction file) and windows ops disks. Because why not? TheShadowBrokers is having many more where coming from? “75% of U.S. cyber arsenal” TheShadowBrokers dumped 2013 OddJob from ROCTOOLS and 2013 JEEPFLEAMARKET from /TARGETS. This is theshadowbrokers way of telling theequationgroup “all your bases are belong to us”. TheShadowBrokers is not being interested in stealing grandmothers’ retirement money. This is always being about theshadowbrokers vs theequationgroup. Shadow Brokers then made some assertions that may disprove a claim WaPo made yesterday: “It is not clear how the Shadow Brokers obtained the hacking tools, which are identical to those breached by former NSA contractor Harold T. Martin III, according to former officials.” It described exactly where, on the NSA servers, the files came from. “TheShadowBrokers dumped 2013 OddJob from ROCTOOLS and 2013 JEEPFLEAMARKET from /TARGETS.” Having suggested it had at least seen file paths or screen caps of the NSA’s file system, Shadow Brokers then made its point even more clear: “This is theshadowbrokers way of telling theequationgroup ‘all your bases are belong to us‘,” both making fun of the claims about its broken language but also suggesting takeover (though I’m curious if mis-citation using a plural here is intentional — perhaps these file systems are in different places? — or just one of a some egregious typos in this post). Again, I haven’t confirmed whether those details are accurate. Surely the NSA has doublechecked. If they are accurate, then the other claims made in the post — specifically about the other things it has to dump — will especially merit attention. One more point. Shadow Brokers seems to suggest Oracle and another Microsoft patch were due to notice from former NSA hackers, as if all the former NSA employees are helping their employers clean up holes they’ve long known about. Oracle is patching huge numbers of vulnerabilities but TheShadowBrokers is not caring enough to be look up exact dates. TheShadowBrokers is thinking Google Project Zero is having some former TheEquationGroup member. Project Zero recently releasing “Wormable Zero-Day” Microsoft patching in record time, knowing it was coming? coincidence? It’s not clear whether they’d be doing this because they knew of holes NSA had been using or not. But it’s worth observing that Shadow Brokers is not making vague threats here. https://www.emptywheel.net/wp-content/uploads/2017/08/NationalSecurityAgency_HQ-FortMeadeMD_Wikimedia.jpg 1000 1500 emptywheel https://www.emptywheel.net/wp-content/uploads/2016/07/Logo-Web.png emptywheel2017-05-17 14:51:072017-09-15 11:15:52Shadow Brokers: "All your bases are belong to us"
Correct. But note that most NSA ops are conducted from military bases (plural, my SIC). And most run on *OLD* hardware and software. Plenty of old Solaris too. It is not a SB threat, it is fact. VEP is legal CYA. Some want to fix. The problem is that it relies on Executive branch of government. At this time, that is like asking the fox to guard the henhouse. Lieu (D-CA) and Blake Farenthold (R-TX), introduced the Protecting Our Ability to Counter Hacking (“PATCH”) Act. The bill requires the Executive Branch to establish a Vulnerabilities Equities Review Board to oversee the government’s disclosure of vulnerabilities in information technology products and systems that are not publicly known. The Shadow Brokers’ first dump of exploits in August sparked a robust discussion within the Obama administration. “By that point, the intelligence value” of the exploits was “degraded,” so it was decided that NSA would alert whatever vendors were affected, a former senior administration official said. For years, NSA had its own internal process for weighing whether to disclose software flaws to the vendor or to keep them secret so they could be used to build surveillance tools. In the spring of 2014, the Obama administration’s National Security Council kicked off a new process to vet vulnerabilities among agencies including the FBI, the NSA, the CIA and Department of Homeland Security. Some security experts say that the process to debate and disclose vulnerabilities worked in this case but that there was a failure to signal the seriousness of the need to apply fixes. 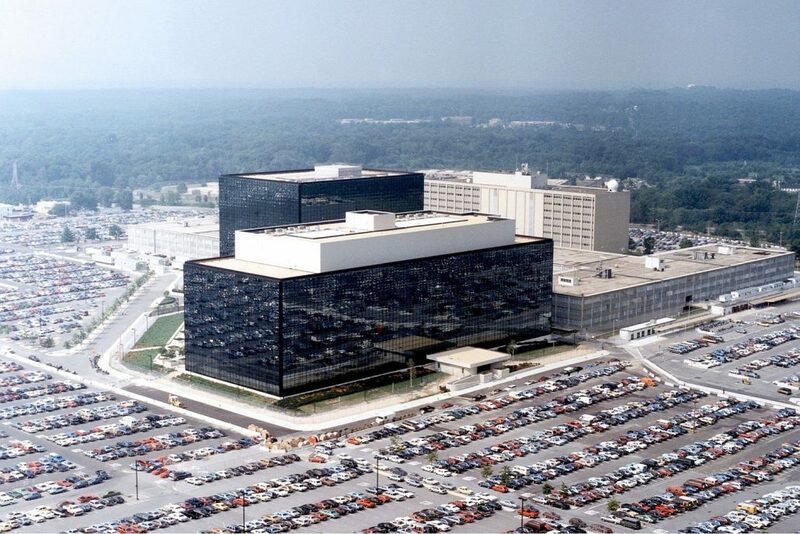 “NSA identified a risk and communicated it to Microsoft, who put out an immediate patch” in March, said Mike McNerney, a former Pentagon cybersecurity official and a fellow at the Truman National Security Project. [That assumes facts not in evidence. Did McNerney get some #FakeIntel/#FalseLeak? do american nuclear weapons use microsoft software? that software would be uniquely designed and uniquely invulnerable, wouldn’t it?there would not be a chance in hell that any kind of intrusion or take-over of that software would be possible, right? or its warning signals, right? are these great killing machines in any way vulnerable to these (microsoft oriented, or other) “exploits” * – particularly in these times of an self-oriented, incompetent president. what reader could easily understand these terms meaning on first meeting? none.